You are welcome. Stay with us and get the complete update about technology and science. In our little mobile tech bubble, one of the most debated topics is the endless battle of Android vs. iOS. 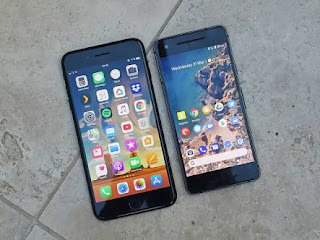 People have been defending their mobile OS of choice for years at this point, and while we're happy with whatever platform you decide works best for you, it is fun to analyze why folks choose Android over iOS and vice versa. It's really competitive right now. You probably might have not try it out. Most people enjoy it though but don't know about you. I'm a blogger, writer and also a programmer. You're oppurtuned to get updates and great tips about technology and science. The effect of horror movies to your brain.